Background: Patients with congenital heart disease occasionally have complications due to extra-cardiac malformations. These deformities have been recognized as cardiac syndromes by J. Burn. They have been classified as chromosomal anomalies, micro-deletion syndromes, single-gene diseases and unknown causes. Recently, revolutionary advancements in clinical genetics and epidemiology have contributed to the development of improved medical practices including diagnosis, management of care and extension of life expectancy of affected patients. One example of this is to look at individuals affected by conotruncal anomaly face syndrome. These individuals have a micro-deletion of chromosome 22q11.2. Methods: Review of a single institutional experience for 30 years. Results: 1) In patients with Down syndrome, intensive management has dramatically improved mortality. Preoperative pulmonary hypertension was improved after corrective surgery in the majority of cases. However, it was noticed that several patients with Down syndrome acquired diabetes mellitus during the long-term follow-up period. On the other hand, cardiac surgery was disappointing in patients with trisomy 18. They had complicated sequelae such as severe disabilities and hepatoblastoma even after cardiac surgery. 2) We diagnosed 96 patients with 22q11.2 deletion syndrome, including about 10% of cases in the same family. The combination of tetralogy of Fallot, pulmonary atresia and aortopulmonary collaterals are especially unfavorable when trying to achieve corrective surgery. They also had a variety of extra-cardiac problems. These included developmental delay, immunological disorders and autoimmune diseases. We also encountered 27 patients with Williams’ syndrome (7q11.23 deletion). Included among them were one case in the same family and one twin. A spot mutation in the ELN gene was identified in a patient with supravalvular aortic stenosis. Developmental delay and elfin face were both found to be absent. 3) Clinical manifestations of Noonan syndrome are variable and confusing, and have related disorders. However, the mutational analysis in PTPN11 may contribute to a more precise diagnosis of Noonan syndrome. 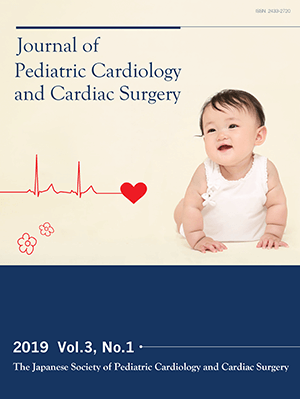 Conclusions: Pediatric cardiologists have come to play a more important and integral role in the management and assistance of affected patients and their families.